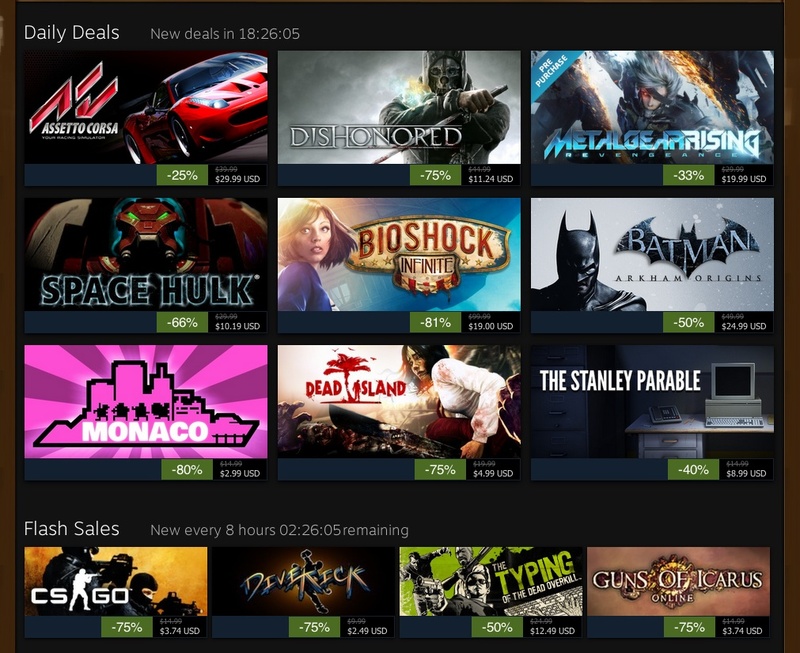 Valve’s Steam Holiday sale is Live Now. Valve has initiated its annual Holiday sale on Steam games, offering tons of great deals and ensuring that the gamers would be showered in cheap titles. Unlike the Autumn’s sale, the annual Steam Holiday sale includes many great deals and it comes complete with community’s choice sales, new sales after every eight hours and daily deals, which allow you can grab some awesome games on much lower price. 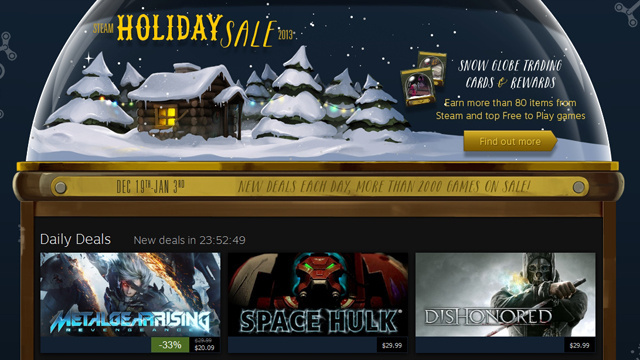 With this year’s Steam Holiday sale, Valve went with a new gimmick and named it as “Snow Globe” cards. These new cards are specific to the Steam Holiday sale and can be collected by five different ways; By purchasing games on Steam (you get one Snow Globe card on every $10 you spend), by casting your vote in the community’s choice flash sale (you will get one card for every three votes you cast, but your Steam level should be at least 5), by crafting game badges (every badge crafted sine December 10 counts), and you also get Snow Globe cards when you trade them with other, or you can simply buy them on the community marketplace. Snow Globe cards can be used for crafting Snow Globe 2013 badge. The badge special and by having it, you will get a Holiday Steam sale exclusive profile background and an emoticon for your Steam chat, you will also get in-game item in one of several free-to-play games such as Dota 2, Warframe and Team Fortress 2. Complete information and FAQ about the Valve’s Steam Holiday sale can be viewed here. Steam Holiday sale is offering huge discount on some great games, and the sale would keep growing until it ends on 3rd January, 2014. Valve has reduced prices on a lot of games including 2013’s biggest titles such as Batman: Arkham Origins and Dishonored. Get on your PC’s and do not miss the great deals that Valve is offering after every eight hours. Below is the list of some great games that you can grab for cheap right now.